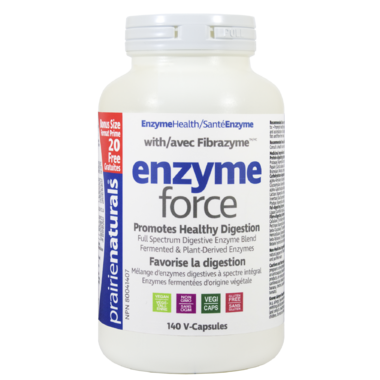 These plant-based enzymes help support and maintain a healthy digestive system by breaking down all the food groups more thoroughly. Noticeable results include less indigestion, gas, bloating, constipation and acid reflux. I have tried SO_MANY different types of digestive enzymes, and this has been the only one that in my opinion makes the biggest difference with my digestive system. It really helps take away the painful bloating, gas, and digestive irregularities. I've only been taking these for a week now, but have noticed a much healthier gut already. Less bloating, discomfort and constipation. I tolerate foods better and have almost no indigestion issues at all. I've also noticed an improvement in my restless leg syndrome. And I've noticed a slight increase in energy. Placebo effect? We'll see. 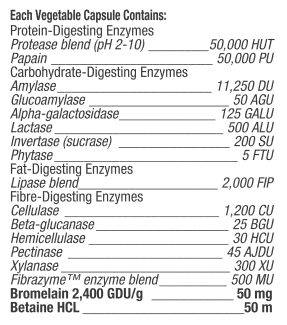 My main digestive enzyme for the past 12 years. With a probiotic from another brand, I've kept my digestion running smoothly into my 40s.